The beautiful weather has finally arrived here in New Orleans, which means you, like me, might be thinking of playing a bit more tennis this spring and summer. So over the next several weeks, I will be sharing expert training tips, videos, and tennis-specific workouts so you can play your best tennis in 2015. Let’s start this week with the TENNIS DYNAMIC WARM-UP! Get to the court about 10 minutes early. 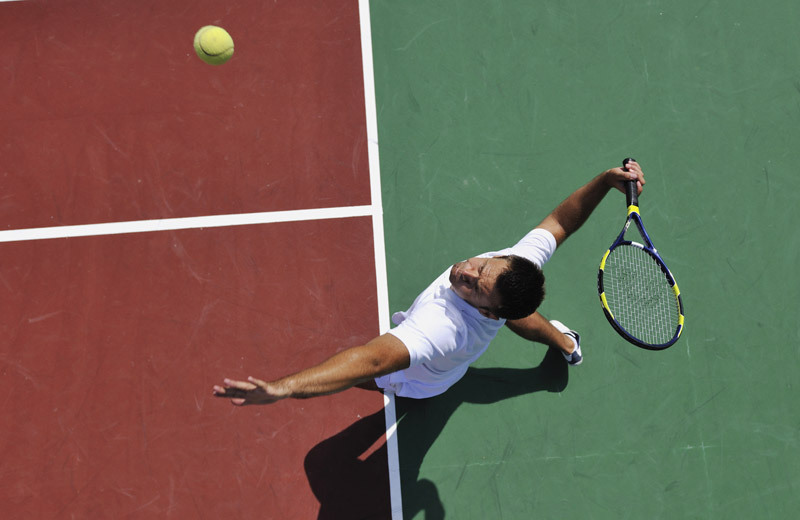 Use the walk from the parking lot to the court to walk briskly to get your blood flow going. Exercise the big muscles, as shown in the above video. Don’t be afraid to take 2-3 laps around the court to stay loose and keep the body moving. 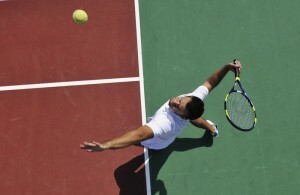 Take 5-10 practice swings (forehands and backhands) gradually increasing the length and speed of your swing. Now you are ready to hit your first tennis ball! Consider mini tennis – playing inside the service boxes. Mimicking your strokes at a softer pace can be a great way to get your body ready for action! Good luck and go win your warm up! Below are some additional resources on a dynamic warm up, so that you can warm up like a pro!